Other companies make monster cards, but we go further... We MAKE MONSTERS! Yes, we don't just make monster cards, we also make actual monsters! 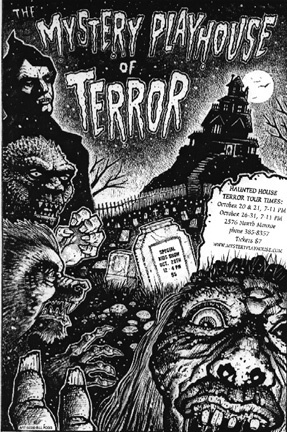 Since 1999, Monsterwax has produced an annual haunted house. 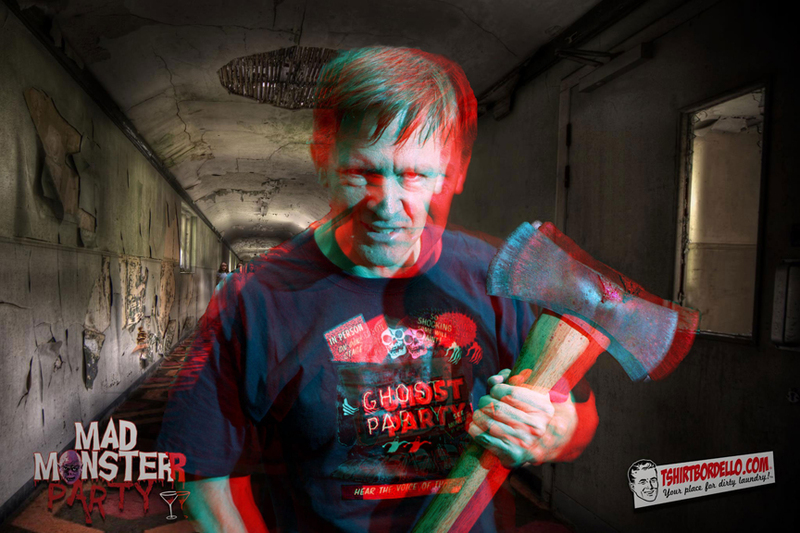 This isn't a small home haunt either, but a full blown, commercial haunted attraction... the biggest one in North Florida. 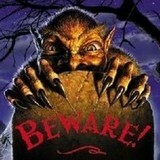 (Over 20,000 square feet of fears!) It grows every year, but it's only open in late October. If you're daring enough, come on down and experience it. It's a scream! Terror of Tallahassee 2017 from Vann Patacxil on Vimeo. 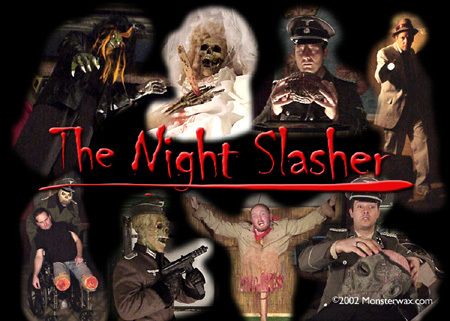 You can also see our 2004 (sold out) trading card set shot on location at the first haunt, spoofing the classic Nightstalker TV show, plus the new series of Monsters & Maniacs, shot at our second location. If you can't make the trip to experience The Terror, at least you can take the cardboard tour. 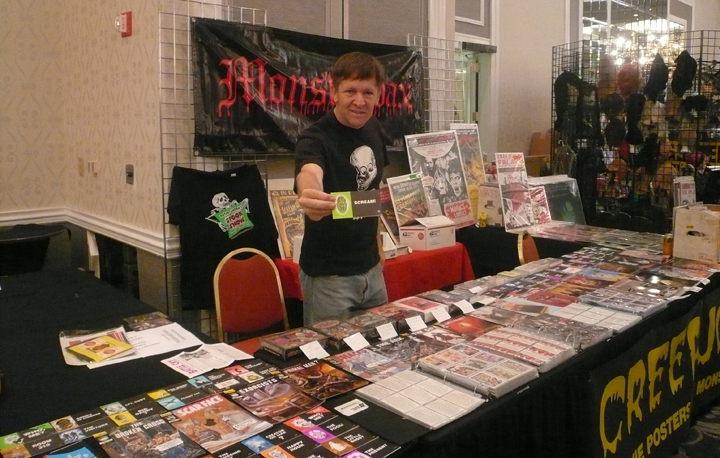 Monsterwax also goes on the road at various trade shows, including the 2012 Mad Monster Party (below).